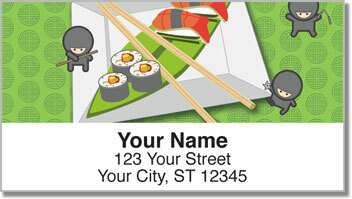 Careful - the cartoon ninjas on the third design in this rotation look like they're about to steal your California roll! 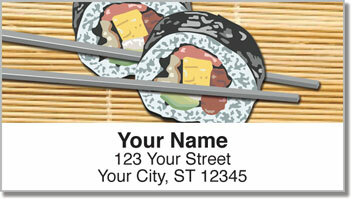 Introducing Sushi Rolls Address Labels from CheckAdvantage, guaranteed to make any sushi lover's mouth water. 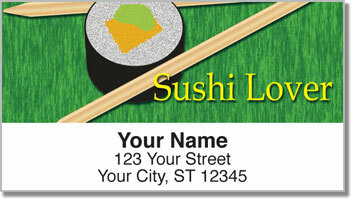 With Sushi Rolls Address Labels and matching personal checks, it's easier than ever to add a little spice to your personal correspondence. 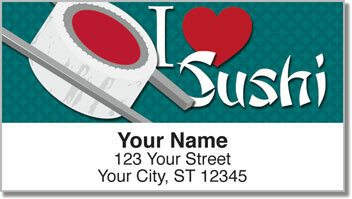 Our handy return address labels make quick work of getting ready for a trip to the mail box, and since they're self-adhesive, you won't spoil your sushi daydream with the taste of glue! Make them yours today!